Later this month Aik Karapetian directs Bizet's Carmen in Montepelier. Aik directed the striking production of Gounod's Faust in Latvia that I saw as part of the Riga Opera Festival last year [see my review]. 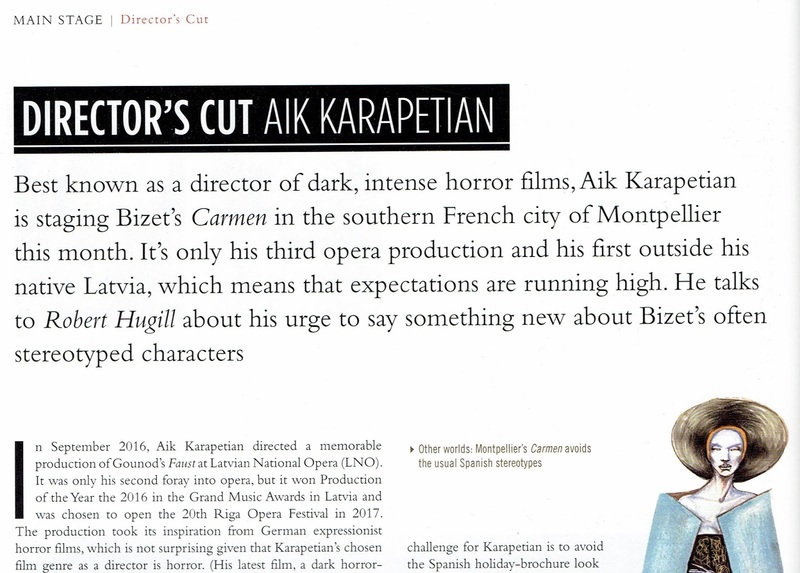 The March edition of Opera Now magazine includes my interview with Aik talking about the new production and the challenge of directing Carmen. Further information from the Opera Now website.